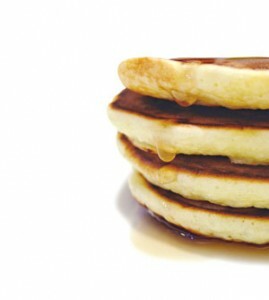 Salem Boy Scouts of America Troop 328 will host a Super Bowl Sunday Pancake Breakfast and Silent Auction on Sunday, Feb. 4, from 7 a.m. to 1 p.m. at Salem School. All you can eat pancakes, eggs, sausage and biscuits and gravy will be served. Tickets will be sold at the door. Adults are $7, seniors and children 4-12 are $5. Children under 3 and under eat free. There will be a silent auction accompanying the breakfast where over 100 items from local merchants and area businesses may be bid on. Featured raffles include a Rock Island 1911 G.I Edition pistol and a fishing kayak with paddle. Salem School is located at 8828 Antioch Road (Highways AH and 83), Salem. Please bring a non-perishable food item to be donated to a food pantry.